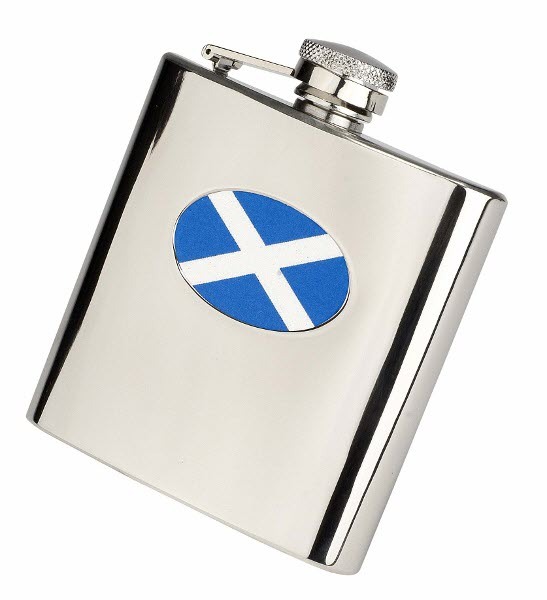 Personalised Engraved Stainless Steel 'Scotland/Scottish Flag' 6oz Hip Flask with Funnel and Gift Box. This great gift measures 110mm x 100mm. There is no limit on the amount of engraving that you can have but please remember the more you have the smaller the font size will be. Please choose from a font in the drop down list below. Hip flasks are perfect gifts for the Best Man, Usher, Father of the Bride/Groom on your Wedding Day, they also make great Birthday, Anniversary and Christmas presents and for the Patriotic among you.